Is DSL as fast as cable internet? A digital subscriber line (DSL) uses existing phone lines to deliver high-speed internet access. DSL provides this access without tying up the phone lines themselves, as dial-up internet connections do. The DSL speed you could enjoy varies depending on the provider you choose and the packages the provider offers. Even your equipment affects the speed. If you use a wireless router and your computer is located at a distance from the router, you can expect slower speeds. If your router or PC is fairly old, the same may occur. DSL speeds vary widely by package options. If you plan to binge watch a lot of streaming content, you may want the fastest package your provider offers. If you aren't online 24/7, one of the more affordable, but slower packages may be right for you. Most providers offer a choice of DSL services with different bandwidths. For example, in late 2018, AT&T offers one tier of service that delivers speeds up to 5 Mbps and another tier that delivers up to 100 Mbps. The slower, less expensive plan, works fine for social media, browsing, and email. The faster plan is better suited to gamers and TV binge watchers. If your locale is wired for fiber optics, you can get even faster DLS speeds. Verizon offers packages with 100 Mbps, 300 Mbps, and Gigabit speeds as of late 2018. Your DSL speed can change depending on how you use the network. DSL providers often advertise the speed of their service using a combination of two bandwidth numbers: one for download speed and one for upload speed. Check both the download and upload speeds when you are choosing a provider. Residential DSL services usually provide a faster speed for downloads than for uploads because most customers spend more time downloading activities. This arrangement is called asymmetric DSL (ADSL) service. In ADSL, the download speed is much higher than the upload speed. With symmetric DSL (SDSL), both numbers are the same. Quality of the phone line at your residence: Neighborhoods with better copper wiring can achieve somewhat faster DSL speeds. Fiber optic lines are even faster. The distance between the hub and home: The length of the phone line between the residence and the phone company hub affects speeds. DSL technology is distance sensitive because its performance decreases as you get farther from the hub. Service glitches: While normally a constant, DSL speed can suddenly drop if the service provider has technical difficulty with its network. Speeds usually return to normal after a few minutes. Short of rewiring their residences, customers can do little about changing some factors. However, other factors can be changed to improve the speed of the connection. Set up your router near the devices you use to access the internet. Positioning a router in a distant room or near an interfering signal, such as from a microwave oven, degrades the speed of the DSL connection. Spyware on the computer: Even when the DSL network is functioning at full speed, spyware programs may consume bandwidth, robbing you of speed. Run anti-spyware programs regularly on networks to prevent this problem. 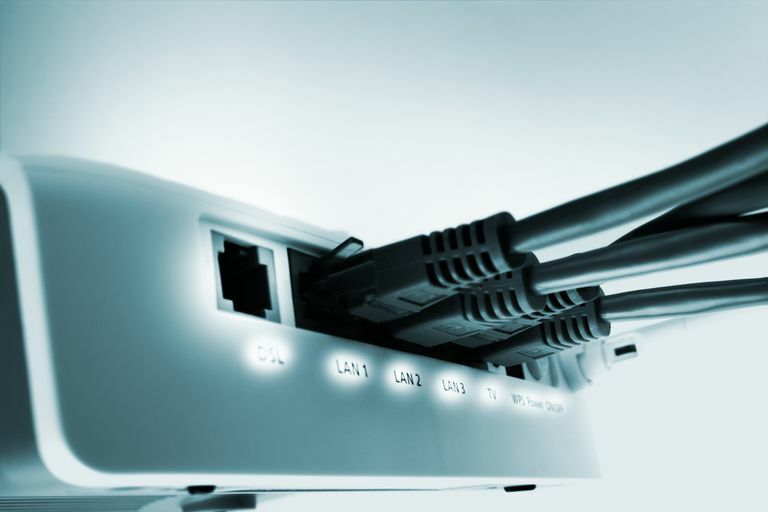 Misconfigured wires or wireless router: Routers sit between your computer and mobile devices and the internet connection. A router that is not functioning properly can limit the DSL speed. Temporarily connecting a computer directly to the internet can help diagnose this situation. Slow wireless network connection: A slow Wi-Fi connection between a computer and a wireless home network may not keep pace with the speed of the DSL internet connection. Buying a newer router to improve the quality of the Wi-Fi connection solves this problem. Old computer: Old computers that lack sufficient processing power or memory cannot keep pace with a high-speed DSL connection. You can verify this problem by comparing the DSL speed between two computers at your residence.